All marijuana loves LST and you should too. Low stress training is a great way to increase yields and control the height of your cannabis plants. If you want to grow cannabis bushes and sprawling weed trees, you need to be proficient and practiced in LST. This is how to LST like a pro. Low stress training, or what cannabis cultivators refer to as “LST”, is a modern adaptation of an ancient horticultural art. Espalier is the practice of training and pruning a fruiting plant or tree to grow in a flat, 2-dimensional structure. The word is also the name for the trellis that was often used to support plants. Free-standing (unsupported) espaliered hedgerows of fruit trees supported by walls were once a common sight throughout Europe. Hieroglyphs dating back to 1400 BC Egypt clearly depict fig trees trained to grow horizontally. However, as you may have already guessed, the technique was popularised and named espalier in 17th century France. Apple and pear orchards were espaliered not only to expose fruit to more sunlight, but also to beautify the landscape. Purists will exclusively bend shoots, but most growers will do some pruning to enhance LST. Regardless, the objective is the same as espalier. The grower is manipulating the plant structure to create bushier plants, instead of the typical Christmas tree growth pattern. Shoots are bent to create a flatter canopy, and to promote the development of many main colas. You don’t need much to get started with LST. A minimalist toolkit will suffice. The number one essential is soft plant ties to hold shoots in place. To support the bend, you have many options, from drilling holes around the lip of pots to bamboo stakes. All options considered, we’ve found in practice that thin wooden skewers about 30cm long are the easiest to work with. Whatever you do, please don’t secure shoots to the floor. You will need to make adjustments as the grow progresses, and you may need to move plants too. And last but not least, remember to keep some duct tape handy. LST requires a delicate touch. Always bend shoots outwards and away from the main stem. LST is really a blend of art and science. First, you must imagine what kind of shape you want your cannabis plant to take. If it’s your first experiment with LST, you can still be creative, but don’t get too carried away. A cannabis bush is probably the most common shape, and not too difficult for beginners to attempt. You can treat the main stem just like any other branch and bend it over to flatten the canopy. Alternatively, you can top or FIM your cannabis and bend all the remaining secondary shoots. Many growers will also defoliate plants too. This is not essential, but it helps to remove some shading fan leaves and lower growth to increase airflow. If you happen to snap a branch rather than just bending it, you can usually repair the damage. Break out the duct tape and patch the wound immediately. Provided you didn’t completely shear the branch off, it will heal and recover. Don’t expect to LST 6 shoots and think you’re all done. Existing bends will need to be adjusted as the grow progresses. Moreover, as secondary shoots receive more light, you may need to LST them too. The canopy will repeatedly need to be flattened out to keep it even and open plants up to maximum light exposure. Another advantage of LST is the flexibility it gives the grower. It’s only too late to LST when a cannabis plant is late in bloom and the stems are too rigid to bend. Microgrowers with limited space are more likely to LST early to make the most of lateral grow space. Most indoor growers will begin to train plants during the vegetative stage while shoots are still green and pliable. The sooner you start, the more adventurous you can be with your design. If you really want to maximise your yield and keep every flower in the sweet spot of your grow lamp, you should drop a ScrOG on the grow-op. This is only a viable option for those practised in LST. If you’ve got some experience, this combo is very doable. LST is not confined to interior grow-op designers. The origins of espalier are in outdoor cultivation after all. Outdoor growers, especially those in cooler northern European climates, stand to gain the most from the application of LST. Not only is a squat cannabis bush more low profile than a 3m spindly ganja tree, but also far more productive. Breaking the apical dominance of a cannabis plant to redirect growth hormones to multiples shoots instead of just one is a winning strategy indoors or outdoors. CAN YOU REALLY LST AUTOFLOWERING STRAINS? Yes you can. Contemporary autoflowering hybrids have ushered in a new era of hope and change. LST doesn’t really have a recovery time. Within hours, most growers see shoots bouncing back. Essentially, you don’t really need to treat the autos in the RQS collection any different than a photoperiod variety when it comes to LST. In fact, LST is perhaps the best way to significantly boost the yield of an autoflowering strain with no downside. That being said, you do need to factor in that most autos will start flowering just 4–5 weeks post-germination. It’s best to make up your mind about training in advance. This growing technique encourages increased bud growth, as the branches are more readily exposed to the source of light. Also, the stems that would normally stand vertically are tied into lateral position, inducing them to sprout new vertical branches, or "waterspouts" - which will create tasty new buds. This is a common practice amongst gardeners for climbing roses, grapes, and other vining plants. Chocolate Haze is an absolute treat for the taste buds, with hints of chocolate, sweetness, and earthiness lighting up the tongue when smoked or vaped. The unique terpene profile within the flowers was gifted to this strain via the breeding of parent strains OG Chocolate Thai and Cannalope Haze. 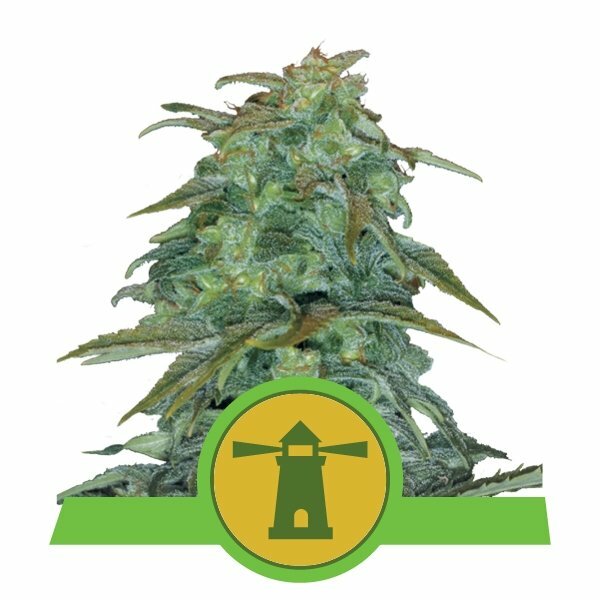 Chocolate Haze is a sativa-dominant lady that features 95% sativa genetics and just 5% indica genetics. This results in a potent high that is cerebral, motivating, and very energising. Fuelled by a THC content of 20%, this high takes hold fast, and is often the source of some very interesting and deep conversations. Chocolate Haze can be grown successfully both indoors and outdoors, and is a strong contender for the LST method. Indoor plants cultivated within grow rooms or tents are capable of rewarding growers with yields of between 475–525g/m². Outdoor plants grown within garden beds or pots are able to produce harvests of up to 500g/plant, and are ready for harvest during late October. Chocolate Haze favours a mild climate and features a flowering time of 9–10 weeks. Shining Silver Haze is a superb option when it comes to selecting a strain for LST. 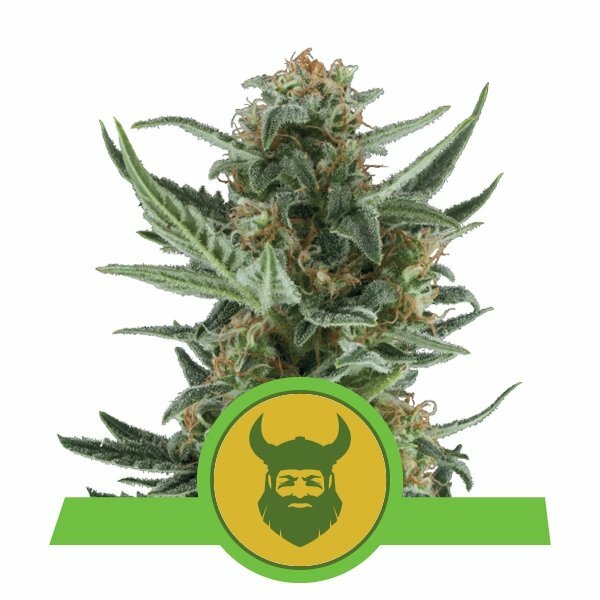 She is fast to flower and offers powerful highs and fantastic yields to boot. Shining Silver Haze features genetics partially passed down from the world-renowned and legendary Haze, bred with an equally legendary cross of Skunk and Northern Light. This powerful mix of genetics produced a sativa-dominant lady featuring 75% sativa genetics and 25% indica. The flowers of this strain produce a large coat of resin that contains THC levels of around 21%. Smoking a bong bowl or joint loaded with Shining Silver Haze results in a instant and potent high that targets the mind almost entirely, inducing a motivated and creative state. This satisfying effect is coupled with pleasant scents and tastes of sweetness, earthiness, and citrus. Shining Silver Haze is capable of churning out 600–650g/m² when grown indoors. Her medium height makes her an easy strain to tame using LST. Plants grown outdoors are able to produce harvests of up to 650g/plant, making them an ideal option for getting the most amount of bud out of the available space. Shining Silver Haze has a flowering time of 9–11 weeks, with outdoor plants ready for harvest during late October. Amnesia Haze was created after Haze genetics arrived within the borders of Holland. Breeders created numerous hybrids, one of which was bred with an old-school Haze, giving rise to Amnesia Haze. This well-known variety is famed for her potency and impressive yields, two factors that make her attractive for LST. She features 70% sativa genetics and 30% indica, a balance that ensures a high that targets both body and mind. Each hit can be felt almost immediately, sending the mind into a creative frenzy whilst relaxing the body and melting the muscles. The flowers of this strain are loaded with terpenes that provide earthy and citrus scents. Amnesia Haze produces good yields both indoors and outdoors. She is known to grow tall, but LST makes taming her that much easier, promoting more lateral and bushy growth. Plants cultivated indoors produce yields of between 600–650g/m², whereas outdoor plants can pump out massive yields of up to 700g/plant. Amnesia Haze has a flowering time of 10–11 weeks, with outdoor plants ready to harvest during late October. Royal Haze Automatic is another great candidate for LST, especially for those who want to harvest buds as soon as possible. 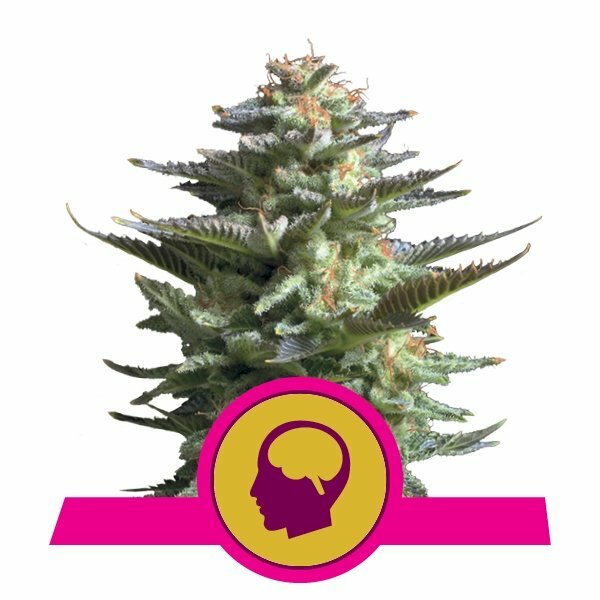 She is the result of potent parent strains Amnesia Haze, Skunk, and a ruderalis variety, a mix that has created a genetic makeup consisting of 50% sativa genetics, 20% indica, and 30% ruderalis. The strain offers moderate highs that are satisfying but not overwhelming, with THC clocking in at around 15%. The high itself is more mind-oriented, offering cerebral, uplifting, and motivating sensations. She’s a great strain to fire up just before engaging in creative work such as writing or making music. Each hit from a joint or vape is accompanied by aromas and flavours of citrus and herbs. Royal Haze Automatic explodes from seed to harvest in as little as 10 weeks, making her ideal for growers in search of a fast turnaround. Plants grown indoors yield between 300–350g/m² and grow to small heights, making them even easier to manage using LST. Outdoor plants offer yields of up to 180g/plant, figures which may be exceeded using LST. 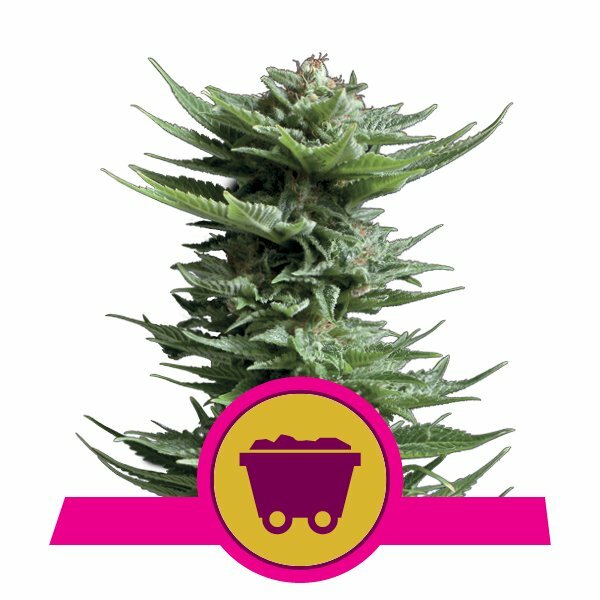 Royal Dwarf is an ideal strain for growers dealing with limited space, or those wanting to keep their growing operations as discreet as possible. This tiny variety was created via a breeding project featuring parent strains Skunk and ruderalis. She is an excellent beginner strain in numerous ways. For one, she is very easy to grow and offers beautiful buds within a rapid timeframe. Secondly, her flowers contain a THC content of 13%, ideal for novice smokers who want to start things off gently. Royal Dwarf is slightly sativa-dominant, resulting in highs that are motivating and inspiring. Royal Dwarf usually reaches heights of between 40–70cm indoors and 50–90cm outdoors. She can be kept even closer to the ground using LST, with a potential increase in yields. Indoor plants usually pump out 150–200g/m², whereas outdoors plants provide 80g/plant. Royal Dwarf is a hardy strain that can comfortably tolerate cold climates.